Prominent & Leading Manufacturer from Pune, we offer metal turning tool, metal cutting carbide tips, drilling tools, fastener tools, industrial reamers and multi point metal milling cutter. Metal Turning Tool offered are made available in a broad range of options so as to perfectly match up with the specific metal turning needs of the customers. With the tools based on pioneering tool design, the use of special-grade carbide also assists users in avoiding chip out in manufacturing applications. Further, these tools are made from high grade industrial material like HSS, M2 and others and offer longer service life and sturdy operation support. These also come with superior durability and abrasion resistance and are made available in hard alloy metal and in black coated finish which makes these perfect for use with Turret Lathes, Vertical Turret lathes, Engine lathes, Chuckers. 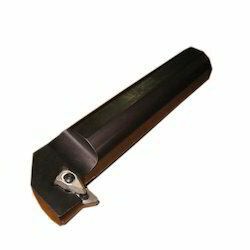 Metal Cutting Carbide Tips offered come with superior tensile strength, abrasion resistance, and excellent finish and find use in rolling mills and other industry sectors like automobile and engineering industries. These tips are available in various sizes and come with superior tensile strength and abrasion resistance properties. 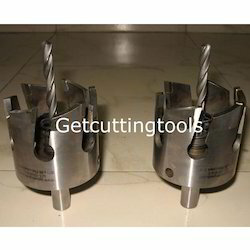 Finding use for boring & machine tools, these are suitable for shaping different equipment and find extensive use for cutting most non-ferrous and cast iron materials. Developed using latest technology support, we can make these tips available as per different industry standards. 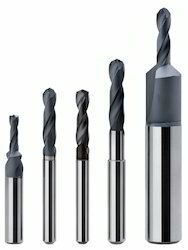 Drilling Tools offeredcome precision designed so as to offer increased productivity support in involved operations. Featuring sharp drilling points, these sturdy drill bits provide for extended life span as well as are suitable for all types of inserts. Being extensively used for core drilling operations, these are in compliance with globally laid parameters and find suitability for drilling, drilling with core cutters and stirring operations. We make these available in material options like HSS, M2 and others that provides for easy and safe operations as well as substantial productivity improvement. Fastener Tools offered find application in Households, Construction business, Nut and bolts industry, Electrical industry and others. Also known as cold forming tools, these are manufactured from High alloy steel or solid carbide as per client's specifications and feature corrosion and abrasion resistance finish that provides in these tools better functionality support and longer service life. Available in tungsten carbide and steel finish, these are suitable for use in electronics, motor vehicle, aerospace, appliance and general industries. 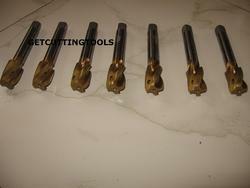 We develop these tools as per international standards in both standard and customized finish varieties. Industrial Reamers offeredcome in anti rust finish that provides for longer service life. Developed from high quality steel, these are suitable for applications for round holes and feature excellent torque capacity. 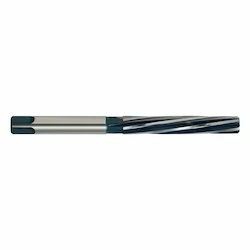 Being suitable for enlarging or finishing a hole that has already been drilled, these are ideally suited for cutting metal, metal sheets, moldings or extrusions and come with distinct thickness and carbide tips. 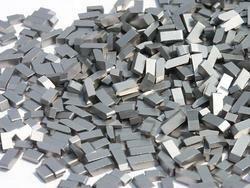 Further, these are also used in applications like in lathe machine for turning, growing and threading operations. Multi Point Metal Milling Cutter offeredprovides for longer service life as these available in abrasion resistant and excellent finishing support. Available in different sizes, these are suitable for milling narrow stock and can be provided with fine and coarse teeth. 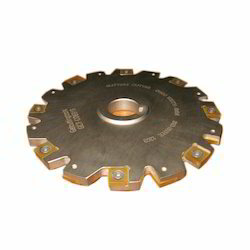 Coming manufactured in ferrous or non-ferrous metal options, these feature presence of extra sharp edges to provide for clear cut while milling profiled grooves. The use of these tools also ensure cutting more holes accurately as well as provides for faster feed rate with lower cutting resistance. We are the elading provider of HSS Metal Cutting Tap. We offer these HSS Machine Tap at reasonable rates.